Fake $50 and $100 bills circulating in local businesses. 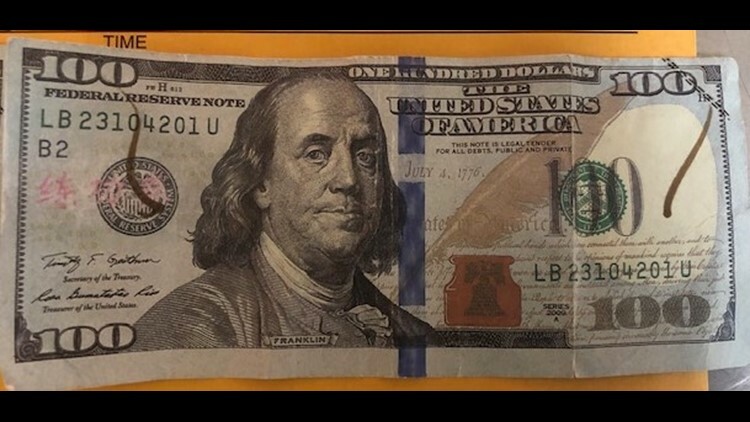 BANGOR, Maine — Bangor Police say three local businesses have reported receiving counterfeit $50 and $100 dollar bills. Police say businesses and financial institutions should be alert, and double checking all of the money they receive. Police say counterfeit bills can often be distinguished by size, color, and texture when compared to authentic bills. Bangor Police say they believe there are more fake bills in circulation in the area and are investigating. One woman has been arrested for using the counterfeit money so far. Anyone with information is encouraged to contact the Bangor Police Department directly, or leave an anonymous tip at 207-947-7384, option 5.